Streaming IP cameras over Internet can undoubtedly provide you peace of mind while you are away, yet many of you may labor your wits over setting up your IP camera for remote viewing and still end up in failure. So how to remotely view your security cameras using the Internet? What to do if you can view the IP camera through your LAN IP address but fail to access it from another computer network or via different WiFi connections? In this post, we’ll show you the two ways to set up an IP camera for remote viewing step by step, through which you can easily learn how to watch CCTV cameras from anywhere using Internet. The TOP 1 method (easiest and most convenient) for you to set up an IP camera for remote viewing, is to use the manufacturer’s App or Client. The App and Client are totally designed for the security cameras by manufacturers, so unlike the third-party software, you don’t need to be concerned about any compatibility issues when watching CCTV cameras from anywhere using Internet. On top of that, the security camera providers will also release new software versions regularly to unlock some improved features. Thanks to the P2P technology, you are able to watch your CCTV cameras from anywhere using Internet in a breeze, like checking on your remote shed or cabin from the comfort of your home. In our test, we used Reolink RLC-410 security camera for the remote access setup via UID method. And below are the 3 simple steps to configure an IP camera on Internet for remote viewing within less than 2 minutes. Step 1: Download the Reolink App or Client to your phones or computers. 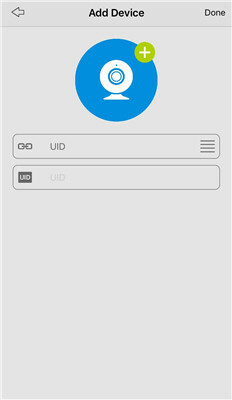 Step 2: Launch the app and enter a unique ID number (UID) to add the camera device. Step 3: Click the Reolink RLC-410 camera on the App or Client and you can view your IP camera over the Internet outside the home network. For Reolink battery powered security cameras, 8 users can remotely view the IP cameras online via the cellphones at the same time. And 12 users can simultaneously watch the Reolink non-battery powered CCTV cameras from anywhere using Internet. This is certainly the easiest way to stream your IP cameras over Internet, no matter you want to monitor your boats beside your house or view your vacant properties/barn/farm/business from your home. Security risks associated with IP camera setup for remote viewing? Although the P2P applications contain some safety vulnerabilities, security camera providers can take advantage of the encryption technology, such as SL encryption, WPA2-AES encryption and SSL-TLS enabled to prevent exposure of your privacy. And Reolink is the one. Since the security camera remote viewing free software is required if you want to set up your IP camera (e.g. Reolink, Amcrest, Swann, etc.) for remote access via the UID, it may not apply to you if your camera provider doesn’t offer such IP camera remote viewing software. Important Note: Broadly speaking, the camera software provided by the sellers can only allow you to watch CCTV cameras of the same brand from anywhere using Internet. It can’t work with the security cameras of other brands. So what is the alternative to the UID method for you to stream IP cameras over Internet? And how do you set up a security camera to see it remotely via a web browser? 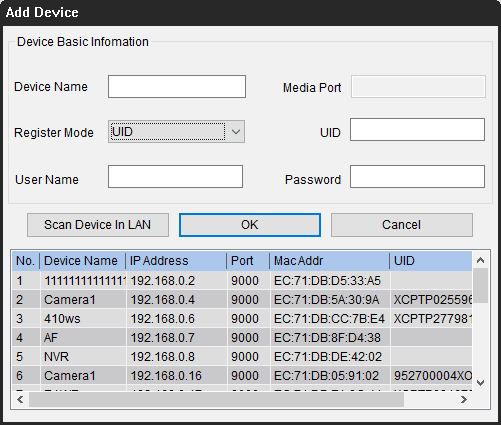 Below is a step-by-step guide to help you set up your IP camera for remote viewing by port forwarding, which applies to the IP camera remote access via different WiFi connections of all security cameras brands as well as the NVR remote viewing. To watch your CCTV cameras from anywhere using Internet, the first thing is to find your camera IP address. Typically the security camera software has a page that displays your network status, including the IP address of your security camera. 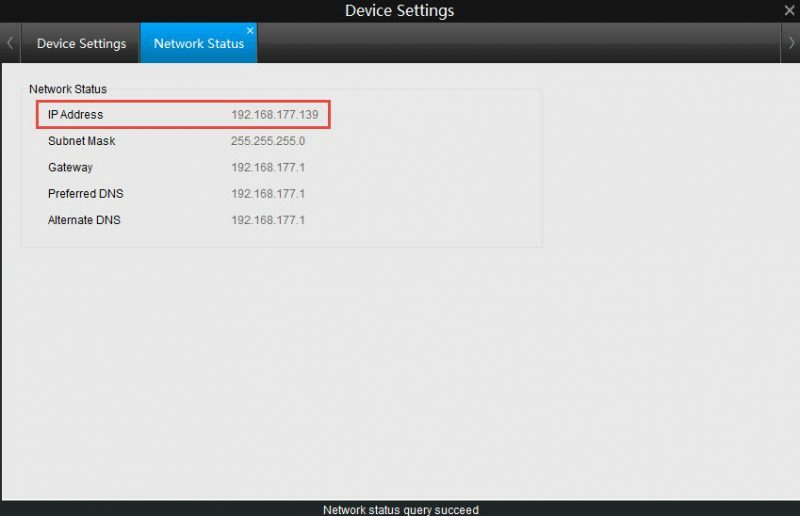 Taking Reolink C1 Pro for example, after launching Reolink Client on your computer and logging into the camera, you can click “Device Settings” and go to “Network > Status” to find you camera IP address. Or you can also refer to your router configuration software and look for a screen that shows the IP addresses of attached DHCP clients. You can visit here to get your current WAN IP address of your home network. But here comes the question: your external IP address may keep changing because most ISPs allocate dynamic IP addresses to their customers. If you want to save the trouble to check the WAN IP address of the router every time you access the IP cameras from Internet, or you can’t find out the new WAN IP address when you are away, use the DDNS service to configure your IP camera on Internet for remote viewing. The main benefit of DDNS is that it will allocate a host name to your camera so you don’t have to remember your IP address, making it much easier for you to watch your CCTV cameras from anywhere using Internet. Bonus: You may refer to the procedures about how to access your Reolink IP cameras from Internet remotely via DDNS. The port numbers are used when you need to set up an IP camera for remote viewing. Routers rely on ports to limit data which can access your IP camera and differentiate between multiple devices. 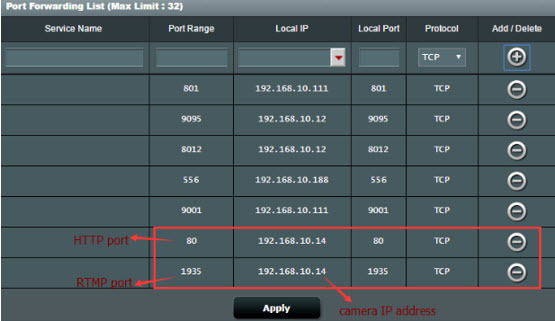 After you have obtained the “HTTP port” and “RTMP port” from the camera device settings, the next step to configure security IP cameras for remote viewing is to log into the web interface of your router and set up the port forwarding rules (shown as below). Now that you have obtained all the essential information, the final step to set up an IP camera for remote viewing is to open your web browser and enter the URL address, which consists of your WAN IP address and the port number. For example, if your WAN IP address is 182.37.154.136, and the HTTP port is 8001, the URL address you enter on the web browser should be “http://182.37.154.136:8001”. And then you can view your security IP cameras online free outside your home network. Well, that depends on which type of security cameras you install. For the wired IP cameras that connect to a broadband modem or router through Ethernet cables, and the wireless security cameras that use a WiFi router for data transmission, Internet is required if you want to setup these IP cameras for remote viewing. BUT your hands are not tied even if you want to remotely access your IP cameras without Internet. Thanks to the advanced technology in the security camera field, the cellular-based security cameras that operate on the 4G/3G mobile data are designed to solve the “no Internet” dilemma. So you can remotely access your security IP cameras on your smartphone via the UID method in areas with limited or no Internet, such as your barns, farms, sheds, cabins, vacation homes, campsites, hotels, etc. Below is the live streaming video when a user accesses Reolink Go cellular 4G security camera remotely on his phone (shared by Jens on his Youtube channel). To offer you more insights into this topic, here we’ve collected some common questions about how to set up an IP camera for remote viewing and watch CCTV cameras from anywhere using Internet. By following the above procedures about how to set up an IP camera for remote viewing, you’ll be able to view your IP cameras outside your network using Internet or different WiFi connections, even you are travelling abroad. If your Internet service provider offers you a static IP address, you can always remotely view your security camera using the Internet with the same IP address and the DDNS setup is not required. Another easier way to stream your IP cameras over Internet without DDNS service is to buy security cameras for home that support P2P. You simply need to enter the camera UDI and password, and then you’ll be able to view the IP cameras online outside your network from anywhere. 3. Is There Free Surveillance Software to Access my IP cameras from Another Computer Network? Is It Possible to Manage Multiple Cameras with the Same App? Normally when you buy security cameras, the camera sellers would offer free software for you to set up the IP cameras for remote viewing (like Reolink App and Client) via different WiFi networks. And you can also watch multiple CCTV security cameras from anywhere using Internet with the same App or Client. What if you still can’t view your IP camera outside your network? Or you fail to remotely connect your IP camera to the Internet after trying out the procedures above? Read the following tips to troubleshoot the specific problems. Make sure you have entered the right username and password. Ensure that you have enabled the UID of your security cameras. Check whether your cameras have connected to the network. Ensure the firewall doesn’t prevent the UDP port when you intend to access IP cameras online on android phones or computers via the UID method. Check if your phones or computers have strong and stable network signals. Update your security camera and the software to the latest versions. Make sure your cameras are connected to the network. Ensure all the ports of the network configuration are mapped to the Internet. Open the firewall in the router to allow Internet access to the camera. If your computer has a firewall, proxy, ad-blocking software, anti-virus software or the like, try to temporarily disable them and connect the Server again. Check your Web Server Settings and ensure that your user account has permission to access the IP cameras. Make sure the cameras are compatible with the web browser you are using for remote viewing. If you have more problems about setting up your IP camera for remote viewing or watching CCTV cameras from anywhere using Internet, feel free to leave your comment below and we would love to help. This entry was posted in How-to Guide and tagged Port Forwarding, stream live feed, view cctv online. Was really helpful Thank you Jenny. Hi, thank you so much for your kind words! So glad that it helps. Hi Christo, yes, as long as the cameras can connect to the WiFi in the farm and the WiFi signal is stable, your brother would be able to view all the four IP cameras on his smart phones using the cellular data or the WiFi network. Hope it will help. I’m trying to connect to my camera’s from my WiFi at work and it’s failing (but works fine on 4G). What protocol and ports need to be opened on the CLIENT side to allow viewing the cameras? Hi Matt, please make sure the remote access settings are configured correctly by following the procedures in the post. Check if the port is closed by the router via the web page here: http://www.yougetsignal.com/tools/open-ports/. Enter the port number and click the Check button. Besides, log-in the router and disable the firewall to ensure the router firewall doesn’t block the DDNS to be synchronous with external IP. Please let me know if these methods work. Hi Andrew, as the customized Reolink App is designed to manage all of Reolink security cameras, it cannot work with cameras of other brands. 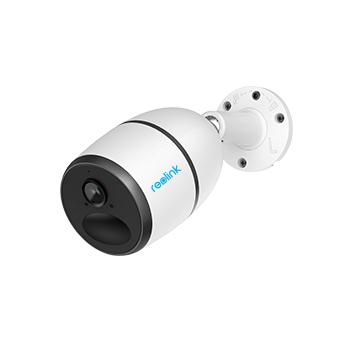 If you need to add a WiFi camera, Reolink can also offer you multiple options, such as the dual band WiFi security camera Reolink RLC-411WS, /product/rlc-411ws/ or the battery powered & solar powered wireless security camera Reolink Argus 2, /product/argus-2/. And please let us know if you need any further help with the camera selection. My son has moved out but would still like to view the squirrel assault course in the garden from his pc is this possible with reolink cameras. He does not have or want a smart phone? Hi Kate, of course, your son can view the live viewing of the garden from his pc with Reolink cameras (not the battery powered security cameras). And he doesn’t need to have a smart phone. If you need any recommendations to choose a most suitable product, please feel free to let us know and we’d love to offer some useful advice. Hi Darin, if you want to transmit the video data wirelessly and remotely from your camera to your smartphone, Internet is required to do the trick. Or if you really need to view remotely on your mobile smartphone for areas without Internet, you may consider adding a cellular security camera, like Reolink Go, /lp/reolink-go/, which operates on the 4G/3G cellular network like your phone (requires a SIM card), so you can stream the live feed anywhere & anytime you want. Hope this helps. Hi Hendrik, the problem you met seems to be rare among the Argus 2 users. To better troubleshoot the issue, please contact our technical support team at support@reolink.com and they will help you fix the problem in an efficient way. OK… I have linked 4 barn POE cameras to a switch then via POA to my internet router. I would like to be able to view all the cameras on my computer monitor as well as watch it from a remote access line another computer or smartphone. But first from my computer which is linked to my internet router. Hi Bryan, do your security cameras support P2P technology? If yes, you can simply log into the camera app, enter the camera UID and password to view all the cameras on your computer monitor. Hi, Phil, it’s not recommended to do so as the Internet connection would be unstable. If you want to remotely view your property without Internet, we suggest that you add a cellular security camera like Reolink Go for your remote site, /product/reolink-go/, and then you can view live feed from anywhere on your smart phone even without WiFi or Internet. Hope this helps. I have my cameras set up great on my iPhone app and can view live or activity from motion activation. I am having trouble setting up remote viewing from my laptop. I have downloaded the reolink client and tried to add ip address as new device and have tried to enter ip address directly in URL box. Please advise me how to set up the laptop to view remotely from pc. Hi, Bret, the process to set up remote viewing from your PC is quite similar to that on your phone. Please launch the Reolink Client on your laptop, and then click the “Add Device” button (shown as the image below). 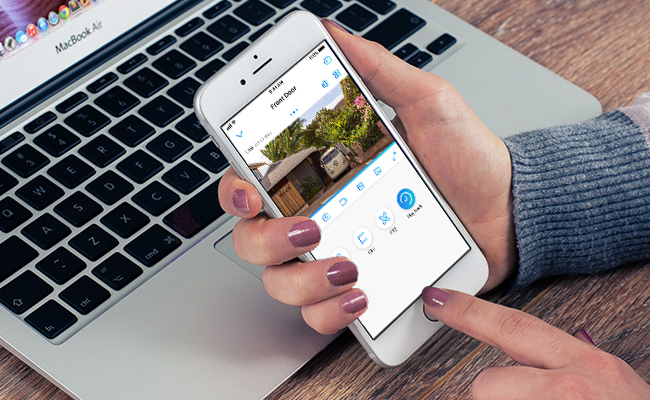 Now you can enter the UID and password of your camera for remote viewing. If you have any other questions, plz feel free to let me know. Why I can only view my ip camera with mobile data but not with wifi? Hi, Jack, please check if your currently using WiFi works well by visiting other websites. And you may switch to another WiFi network to see whether you can view IP cameras or not. Hope it helps. Sorry if your reolink camera is using a 4G mobile network, it would be hard to connect the camera when you are not at the same network with camera. It is because reolink only use p2p techonology, but no relay service. If there is no way to dig a hole through NAT, there would be no way to view the camera remotely. I have to find a way like configure reverse VPN to view the camera, it was really complicated for me and really frustrated. Reolink should provide relay service for same network in extreme condition like other company do. It would be better in user experience. Hi there, you may follow this guide https://support.reolink.com/hc/en-us/articles/360006684014-Check-System-Status-via-Reolink-App and take a screenshot of the system status when you access Reolink App with 4G cellular data. Please offer the UID of the camera and the screenshot to our support team, https://support.reolink.com/hc/en-us/, and they will come back to you soon. Thanks Jenny, I have tried to contact the support. Hope they will give me some help. I have set up an argus 2 in the high school I work for in order to video record a birdhouse. If I watch the live recording from the app on my phone or the software on my laptop and they are connected to the same wifi (the high school one) than the camera it works perfectly fine.. But as soon as I try watch live recordings on my phone app with the 4g or on my laptop with my home wifi, it fails to connect. Please tell me that it is possible to watch live with another wifi/internet connection than the one used by the camera. Hi there, yes, you should be able to watch the live feed with another WiFi/Internet connection besides the one used by the camera. Please follow this step-by-step guide to identify where it goes wrong, https://support.reolink.com/hc/en-us/articles/360007674453-Login-Failed-when-Remotely-Accessing-Reolink-Battery-Powered-Cameras-via-Reolink-App Hope this would help. I have my NVR ip as 192.168.1.100 but Camera one is 172.16.25.2. I’ve setup port forwarding for the NVR on port 80 and 1935. How do I change the IP of the camera? The media port for it is 9000. Hi, Brandon, are you using Reolink security cameras? If yes, you may refer to this detailed guide on how to change the security camera IP address, https://support.reolink.com/hc/en-us/articles/360012670374-How-to-Change-Camera-s-IP-Address-via-Reolink-Client-Windows-. Hope this would help.